Recording in Merioneth and elsewhere: May events - Publication of the Merioneth Rare Plant Register! May events - Publication of the Merioneth Rare Plant Register! A bare week after we got back from Lesvos we were off again - to Buget - our house in France! We had a good journey there and enjoyed spending some fine days in the garden and walking in the surrounding countryside, with John faithfully carrying the vasculum - aka a polythene shopping bag! One of the best days botanically was from the charming village of Veauce with its fine chateau so typical of the Departement d'Allier. We walked uphill along a woodland track and then headed back down to the river through open woods which proved to be very rich with masses of Lily-of-the-valley, Convallaria majus and Herb Paris, Paris quadrifolia. Another day we walked along the bank of the River Sioule between a animal feedstuffs factory and some rather nasty holiday homes. This unpromising site was nevertheless made lovely by the river, and by some uncommon plants. We found an unusual Scabious, Knautia dipsacifolia, with Teasel-like, cordate-amplexicaul leaves. This is a plant normally found in mountains and seemingly not previously recorded in this part of France. The other excitement this day was a splendid patch of Lathraea clandestina, Purple Toothwort. 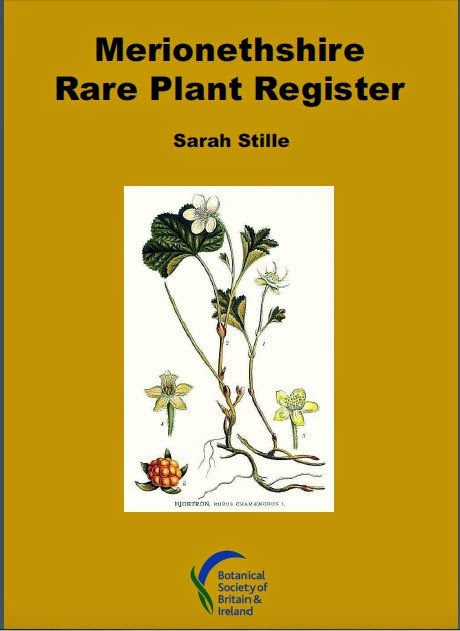 Throughout the time in France I had been making use of rainy days to do a final proof-reading of the Vice-county Rare Plant Register, and on 15th May it went public at last! With huge help and encouragement from Polly Spencer-Vellacott, the BSBI Welsh Officer, it was finally formatted and was posted as a PDF on the Merioneth webpage. We thought we had been through it all with a fine tooth comb but very quickly someone pointed out that we had printed the English name of Blackstonia perfoliata as Early Marsh Orchid! !